Bob Loveless says, â€œWarenski was the best knife maker that ever lived.â€ The execution of this side dagger is flawless and composed of exquisite materials. Its minimalist statement is so clean, so classic, so enchanting its lines require a five-minute study to take in its magnificence. 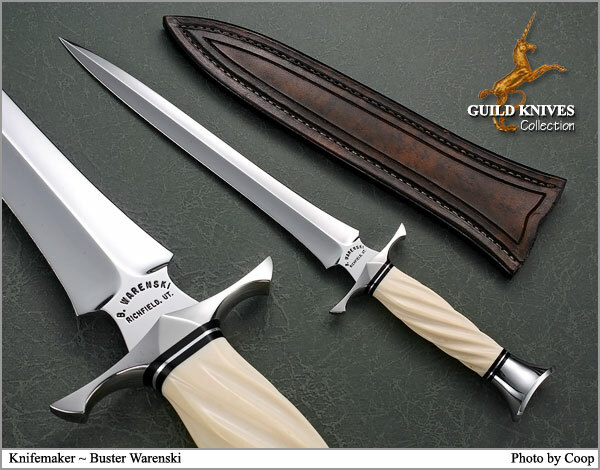 Diagonally fluted Elephant Ivory handle and leather sheath by Buster at his finest.